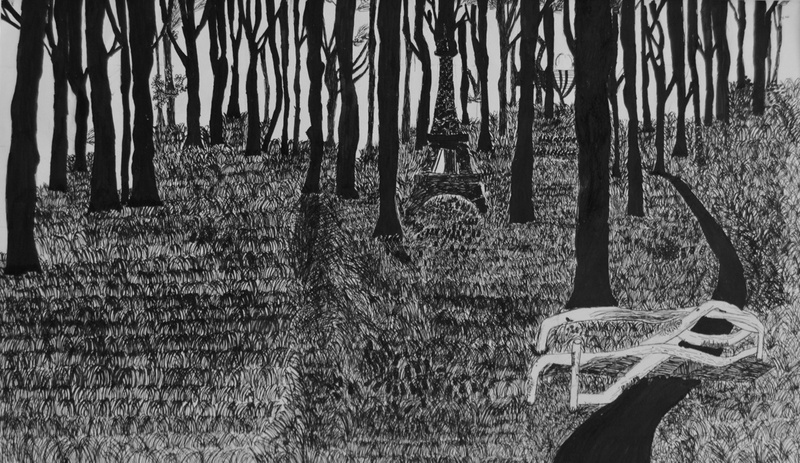 Kimora and Kristin created Fantastic Landscapes by compiling a series of black and white images that represent an ideal or dream place for the artist. 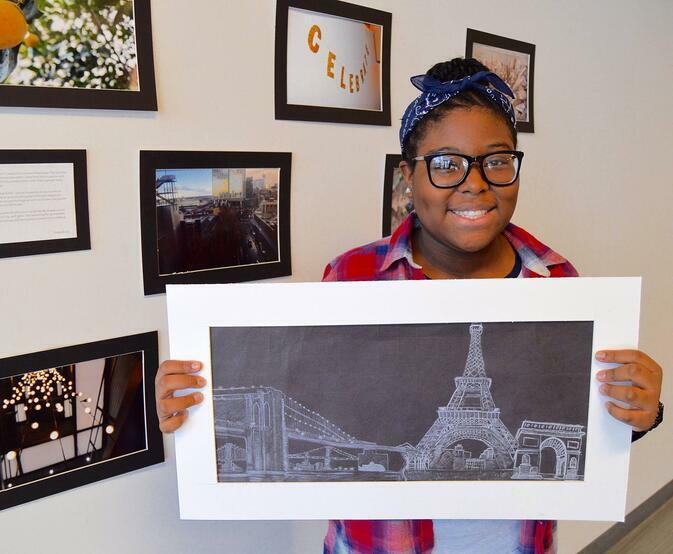 "They really pushed themselves on this project," asserted Ms. Warshaw, their Visual Arts teacher, "and I've seen them grow so much since they started at BASIS. This was a lot of time and work at home, too - Kristin's work took thousands of pen strokes for the grass and Kimora was a total perfectionist with her precision." 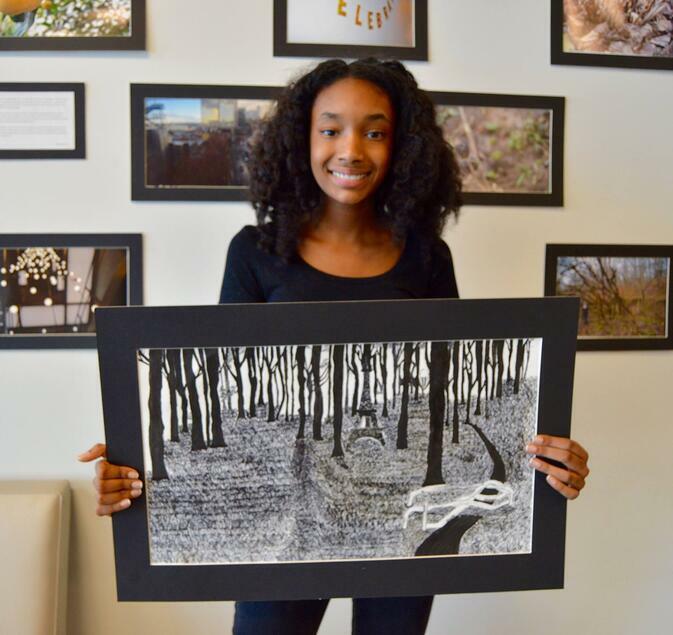 When asked to describe her experience with visual art at BASIS Independent, Kimora noted that "[Visual Arts teacher] Ms. Warsaw has really helped us evolve as artists. She cares about what we think and is always asking us questions." When asked about her aspirations for the coming year and beyond, Kimora remarked, "I'm no great artist or anything. I just want to continue to improve!" Kristin emphasized, "I worked pretty hard on it and it took a looooong time." When asked whether she thinks she's grown as an artist since starting at BASIS Independent Brooklyn, Kristin stated, "Art at my last school was kind of childish; art at BASIS is more complex and we go into far more units. We've just finished landscapes, we did pop culture group projects, gestural still lifes and acrylics, and now we're doing self-portraits. Art helps me express my personality." 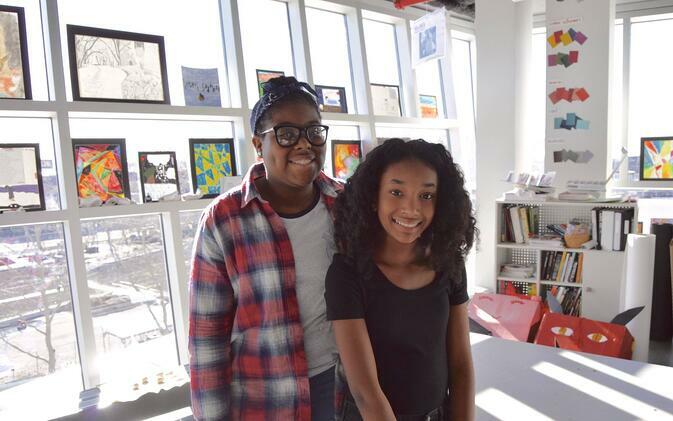 And Kimora and Kristin hope to contribute even more art to our Brooklyn community next year: "We would really like to start an after school ceramics club next year!"